WE LEVEL THE LITIGATION PLAYING FIELD WITH THE EXPERIENCE OF MORE THAN TWO DECADES REPRESENTING WALL STREET BANKS. Gordon Young is a 24-year litigator, specializing in financial, trust and securities litigation. Gordon tries and arbitrates cases for trustees, beneficiaries, financial professionals, investment advisors, stock brokers, Wall Street banks, and broker-dealers. These cases include civil, probate and regulatory claims based on breach of fiduciary duty, breach of trust, fraud, suitability, mismanagement of mutual funds and managed accounts, the prudent investor rule, as well as employee promissory notes, up-front loans, raiding, trade secret, unfair competition and related employment claims. Gordon has successfully assisted numerous investment professionals with FINRA related expungement actions. 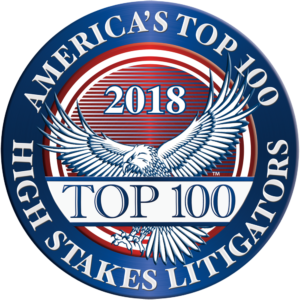 Gordon has been recognized eleven times as a Northern California SuperLawyer for his work in securities litigation, four times by Best Lawyers for his work in product liability, and he has been peer rated AV Preeminent (the highest rating possible) by Martindale Hubble. Gordon has successfully handled hundreds of cases and tried or arbitrated more than 75 cases to conclusion. Before forming Barr & Young with his longtime friend Loren Barr, Gordon spent more than two decades practicing with an international law firm in San Francisco. He was a partner/shareholder for thirteen years, and oversaw attorney hiring and associate supervision for the San Francisco office. Gordon graduated from St. Mary’s College in 1988 where he served as student body vice president and played four years of collegiate rugby. He graduated in December 1991 from the University of San Francisco School of Law. While at USF, Gordon was chosen by a panel of judges that included California Supreme Court Justice Ming Chin, former Ninth Circuit Judge Cecil F. Poole, and former Chief Judge of the USDC for the Northern District of California Vaughn R. Walker as the winner of the school-wide moot court Advocate of the Year competition. Gordon resides in Orinda with his wife and five children. He has served on the advisory boards of Santa Maria Catholic Church in Orinda, St. Perpetua School in Lafayette and the Big Brothers/Big Sisters of the Oakland-East Bay. Represented a FINRA registered representative who was being investigated for alleged false statements on his Form U-4 and U-5. The matter closed with no penalty, fine or censure for our client. Obtained a defense award in a FINRA arbitration on behalf of a national broker-dealer in a claim arising from a public customer’s substantial investment in Fannie Mae and Freddie Mac preferred stock. In addition to ruling in favor of the broker-dealer, the FINRA arbitration panel also recommended expungement of the claim from the professional records of the two licensed professionals named in the claim. Obtained summary judgment in San Francisco Superior Court for a subsidiary of one of the largest banks in the United States in a breach of contract claim where the Plaintiff sought $1.32 billion in alleged lost profit damages. Gordon argued the motion for summary judgment. As lead counsel, Gordon obtained a defense award in a AAA arbitration on behalf of one of the largest banks in the United States in a $3.7 million claim arising from allegations that the bank’s trust/investment management department had breached its fiduciary duty by over-concentrating a trust’s multi-million investment portfolio in market linked structured notes and other risky investments. As lead counsel, Gordon led a team that obtained a defense award on behalf of a broker-dealer in a FINRA arbitration in San Francisco arising from alleged losses of $1.2 million from alleged mismanagement of a publicly traded municipal bond mutual fund. In addition to ruling in the client’s favor, the arbitration panel also recommended expungement of the claim from the professional records of the broker-dealer’s licensed employees, including the mutual fund’s manager. As lead counsel, Gordon led a team that obtained a directed verdict/dismissal on behalf of a Wall Street firm in a FINRA arbitration mass action in San Francisco arising from a failed investment in a high-tech Silicon Valley start-up. Claimants had sought damages of more than $2 million from the client. The results in these matters were dependent on the facts of the cases and are not to be viewed as a guarantee, warranty or prediction regarding any other matter. Results differ based on different facts.